campaigns are successfully funded. All Tyler’s BackerKit questions are answered. Listen to hear Tyler get 100% convinced that BackerKit is right for his next campaign. Learn in-house from some of the very best artists in the business, surrounded by comic book professionals. All aspects of the business will be covered as you develop your DC portfolio. Those who succeed have a shot at professional work! Yes, there is a Writers Workshop, opens May 1. Reminder, be sure to register for The ComixLaunch Workshop! Next month, I’ve been invited to do a panel discussion at a small, local Boston area convention. Public speaking is not something I consider a strong suit of mine, but with the podcasting and more teaching and panels coming this year, it’s something I’m looking to improve. I believe that with anything, practice makes perfect, so I’ve decided to give the talk in the form of an online workshop as a form of practice… and I’d love it if you could attend. In the talk I’m going to cover 7 Keys to making your first, or next, Kickstarter your absolute best launch yet. Many of you know that over the past four years, I’ve successfully managed eight Kickstarter projects that have all exceeded their Kickstarter goals. Through formal ComixLaunch podcast interviews and less formal conversations, I’ve also had the chance to pick the brains of many of the top crowdfunders in the comics space. And I’ve also been pouring over a massive Kickstarter data scrape with an analysis of every comic book Kickstarter launched between 2014-15. This workshop is an effort to pull all of that together into a tight, 45 minute presentation loaded with best practices and actionable information for both new Kickstarter creators preparing for their first launch and savvy Kickstarter vets looking to take their game to the next level. I’ll also have a couple special bonuses in there for attendees. And then, after the presentation, I’ll stick around for a live Q&A session to answer any of your Kickstarter questions. 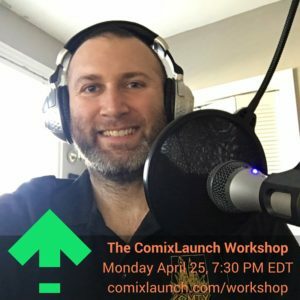 This workshop is totally free, but it will be a private event, so I do need you to register at comixlaunch.com/workshop to secure your seat. The workshop will be live at 7:30 pm on Monday, April 25, 2016… but even if you’re not sure if you can make that time live, you should still go register, because there will be a replay video after the event. Once more, that’s comixlaunch.com/workshop for The ComixLaunch Workshop: 7 Keys to Your Best Launch Ever. We’re going to go in depth on a Kickstarter related software and service that I’ve been aware of for some time, but never really took the time to take a long hard look at. The service is BackerKit. Not to be confused with BackerClub, which I talked about in a previous episode… BackerKit is survey and fulfillment management service that tries to make fulfillment easier for creators, so we can spend more time creating and less time buried in spreadsheets. Now, I will be honest… my default position for any product in the crowdfunding economy is skepticism… I work hard to execute campaigns, and hate the idea of companies leeching off those efforts, without giving a real return. So, I ask my guest today all the questions I have, all the reservations I have about BackerKit… and I’ve got to tell you… I really loved his answers. So, if you’ve dismissed backerKit in the past or any other crowdfunding tools because you’re DIY to the core… that’s okay, I’ve been there. Also, definitely stay to the end, because my guest surprised me with a special ComixTribe listener only offer worth $150. Pretty cool. The head of Sales at BackerKit, a San Francisco Bay area company that has helped over a thousand crowdfunding projects get from survey to shipped. He’s a Chicago-native, whose passions include fantasy football, craftbeer, and the outdoors, as well as helping crowdfunders take their fulfillment game to the next level. Tommy Hall, welcome to ComixLaunch! 1) Let’s get right into it… Can you tell the ComixLaunch audience what BackerKit is, who it’s for, and what problems it solves for crowdfunders? 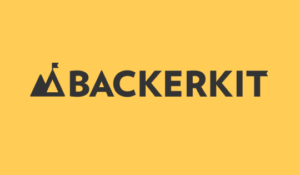 2) Before we dive deeper into the details of working with BackerKit, what can you tell us about the origin of the company? Where did the idea for BackerKit come about? How long have you been in operation? How big is the BackerKit team? 3) Okay, let’s talk cost and pricing for creators. What does it cost to use the BackerKit service, and how does a creator sign-up? 4) Crowdfunders are a thrifty lot… and often very stubborn about parting with hard earned dollars. However, I think a lot of creators (myself included) tend to undervalue our time (an asset that we can’t get back) and overvalue our dollars (which we can always get more of)… What are the biggest areas where creators see ROI with BackerKit? 5) Our audience is largely comics, graphic novels, and publishing projects? Do people in those categories have success with BackerKit, and do you have any examples or success stories you could share with our audience? Carmelo Chimera (writer of the Magnificent, owner of the Chimera’s Comics Chain) – I’d like to know if BackerKit has the ability to collect/share any analytics about my backers that Kickstarter can’t/won’t? Is this information something I could just ask about during the survey process, or does BackerKit provide any information on my backers that I can use to better promote future projects? 6) What’s next for BackerKit? Are there any new features or tools you’re working on or are excited about? 1) Write down an estimate of how many backers you think your next Kickstarter will have. This number is A. 2) Now, write down an estimate of how much you think you can raise on your next project. 3) Now, take that number, multiply it by .01 and then add $124. This number is B. 4) Then, take that same estimate of how much you think you can raise, and multiply it by .05 percent. (5% is a super conservative estimate of what you might get as a boost in BackerKit upsells and failed CC reclamations.) That number is C.
5) Now, look at your numbers A, B, and C.
Is A bigger than 200? Yes or No? Is C bigger than B? Yes or No? If you answered Yes to either question, then I’d definitely suggest you at least take a long hard look at BackerKit for your next campaign. The more backers you have, the more time and headaches BackerKit will save you. And the more funding you’re raising, the more likely it is that through BackerKit add-ons you’ll be able to more than recoup the cost of investing in BackerKit. And because I haven’t used them myself, I can’t make an official ComixLaunch endorsement of the BackerKit service yet. 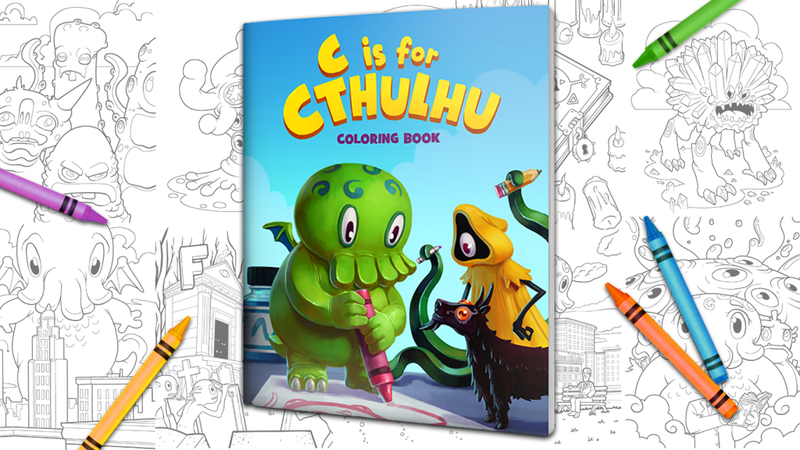 However, as I said in the conversation, Tommy definitely convinced me to give it a shot, and as my current campaign, the C is for Cthulhu Coloring book is currently over 500 backers, and I have a lot of options available for add-ons, BackerKit definitely makes a lot of sense. 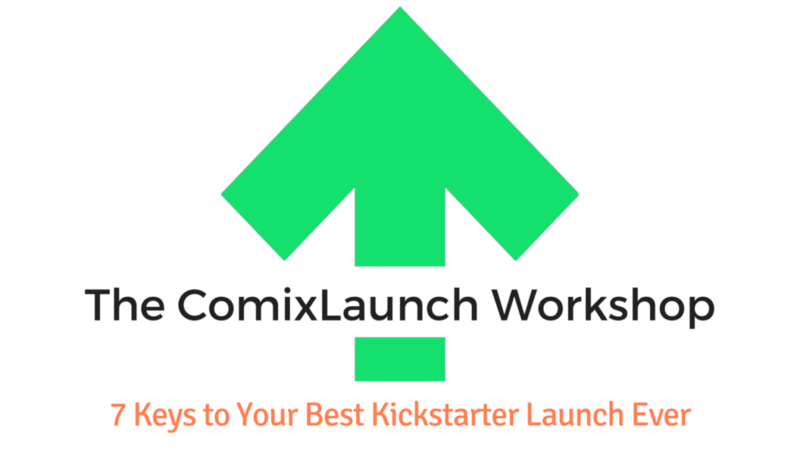 In this live workshop, ComixLaunch host Tyler James will break down seven key steps to making your first or next Kickstarter launch a hit. Drawing on his personal experience successfully funding eight Kickstarter projects and an analysis of every comic book Kickstarter launched between 2014-15, this workshop is loaded with actionable information. Q&A to follow. You’re invited to a special live online workshop I’m going to doing on Monday, April 25th at 7:30 PM EDT. You can register right now at ComixLaunch.com/workshop. Next month, Tyler James has been invited to do a ComixLaunch Live talk at a small, local Boston area convention. Public speaking is not something I consider a strong suit of mine, but with the podcasting and more teaching and panels coming this year, it’s something I’m looking to improve. To prepare for that talk, he’s giving a live online workshop covering similar material, and he’d love it if you could attend. The workshop will cover 7 keys to making your first, or next, Kickstarter your absolute best launch yet. Many of you know that over the past four years, Tyler has successfully managed eight Kickstarter projects that have all exceeded their Kickstarter goals. Though formal ComixLaunch podcast interviews and less formal conversations, he’s also had the chance to pick the brains of many of the top crowdfunders in the comics space. The workshop will be live at 7:30 pm on Monday, April 25, 2016… but even if you’re not sure if you can make that time live, you should still go register because there will be a replay video after the even. In this session, Tyler talks to the creator of Hyperstarter, a new diagnostic tool for crowdfunders. Plus, a new change to Kickstarter image sizes, and ComixLaunch listener voicemail. 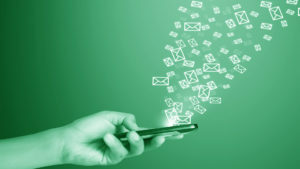 Today we have voicemails from Richard Clark and Ray Chou. Expect video will move to 16:9 widescreen as well. This could be a challenge for comic creators who take the easy route. Even harder to take your comic cover and simply use that for your project image. Today’s Episode is all about a new, Free tool for Crowdfunders. My guest today is an English artist and entrepreneur living in China. He’s the creator of the website GiftsandCoupons.com. a digital coupon and gifts marketplace. 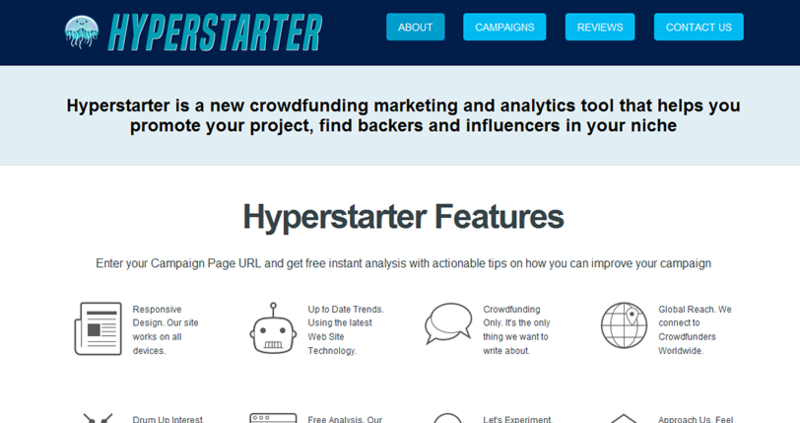 And he’s now the creator of Hyperstarter, a new crowdfunding marketing and analytics tool that instantly analyzes a Kickstarter creator’s project page, identifying strengths and areas for improvement. He also has services to help creators promote their projects, find backers, and connect with influencers in their niche. Welcome to ComixLaunch Mr. Giles Dawe. 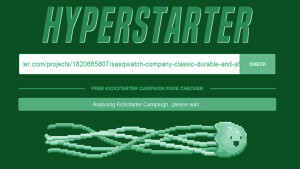 1) What’s the story behind Hyperstarter? How did you come to be interested in the Crowdfunding space? 2) I’ve had the chance to preview the Hyperstarter tool, and from what I’ve seen, it’s pretty cool. But I’d like you to give a bit more detail on it. What’s the problem it’s trying to solve, and how does it try to solve it? What are the key features and benefits? Projects in Draft or Preview Stage? Rewards? Stuff in Mind there? 3) How do you see Hyperstarter in comparison to other tools and services out there? 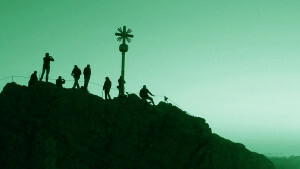 How are you keeping up with what else is out there in the ever expanding crowdfunding space? 4) What’s the business model behind Hyperstarter? The tool is free, how do you make money to keep the lights on and keep improving the tool? 5) You wrote a great linked in Post called “100 Crowdfunding Influencers to Boost Your Campaign”? I’ll link to the post in the show notes, but what kind of advice do you have for listerners when it comes to finding and reaching out to influencers? Today’s ComixLauncher — Go to Hyperstarter.com and plug in a Kickstarter Project to check. 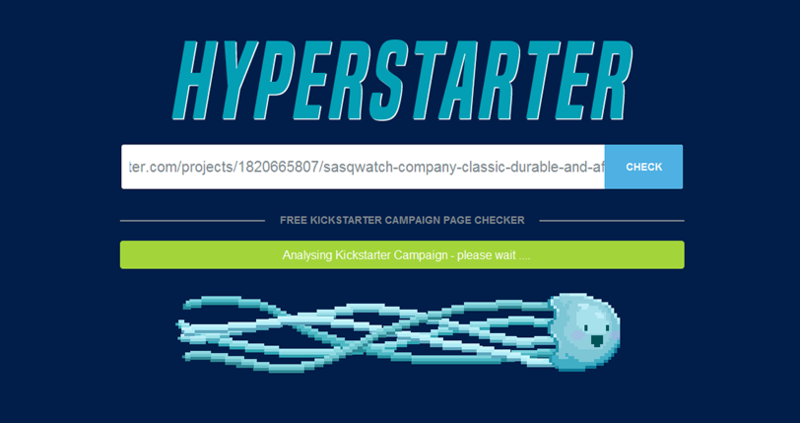 1) If ComixLaunch listeners are interested in finding out more about Hyperstarter.com, what should they do? 2) What’s the best way to connect with you online? 3) Do you have one final piece of advice for Kickstarter creators to keep in mind when launching their campaigns? Focus on testing it out. Promote to someone who has never heard of you and what you’re doing. If it doesn’t work out cancel your campaign and try again. 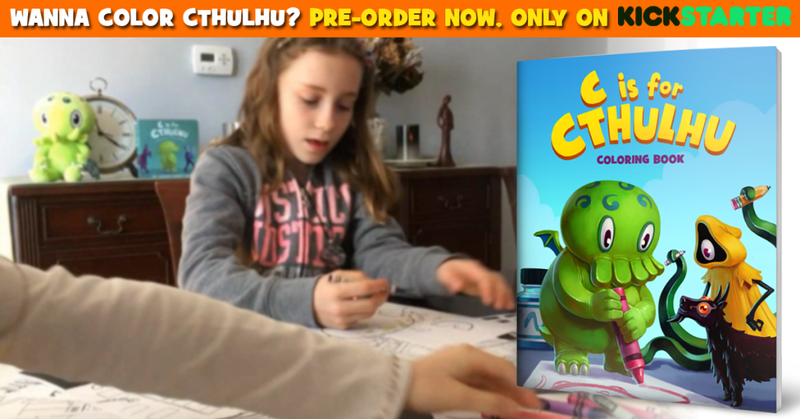 In this Bonus Session of ComixLaunch, Tyler shares 7 brand new Kickstarter strategies he’ll be implementing in the upcoming C is for Cthulhu Coloring Book Kickstarter Campaign, launching April 4, 2016. See the campaign in action at ColorCthulhu.com. What’s this Bonus Session About? Hello ComixLaunch Listeners, this is a special bonus case study version of ComixLaunch. No fancy intros or editing, just us talking Kickstarter, as I’m about to launching my 8th KS campaign on Monday. Every campaign is a new journey. In this session, I’m going to go in depth into what I’m doing differently this time around, some new strategies and tactics I’m very excited about. Not to worry, though… this is truly a bonus, not a replacement for your regularly scheduled Sunday podcast. Session 39 will come out like clockwork as usual. 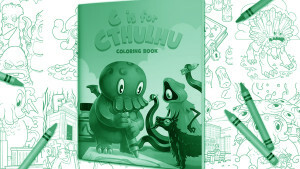 C is for Cthulhu Coloring Book project with Jason Ciaramella & Greg Murphy. What if International Fulfillment Gets Worse, not Better? What if I Drop the Ball? What if KS Backer Count Drops again? Some of these are completely new, some of these are tweaks or variations on things I’ve done or tried in the past. My level of confidence will vary. These are not beginner strategies! If you’re launching your very first Kickstarter, some of this might be relevant… but I wouldn’t say any of these would be where I would focus. In baseball, you need to consistently get a fast ball over the plate before you work on your knuckle curve… these are Knuckle Curves! No guarantees… I’m a practitioner, not an expert. We’re trying to find out what works and what doesn’t… and I love the experimentation… once the foundations are solid. 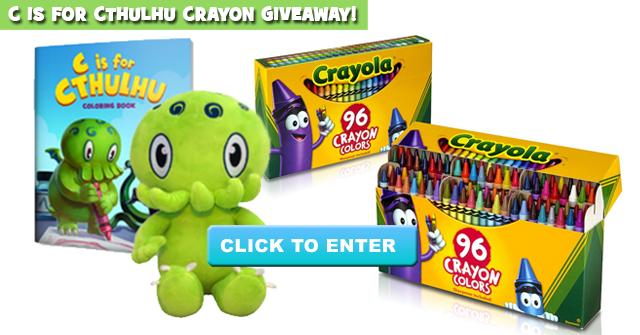 Free Box of Crayola Crayons to a backer every day. Incentivize backing, sharing, FB posting, etc. Sending a Postcard to everyone in the US who’s ever bought something from us. KS integrates with GA now. What you measure, you manage — Know what’s working, what’s converting, etc. One of the best ways to build and grow a fanbase is to launch a product. When we launched or first Kickstarter, we had a couple hundred likes on FB and about 30 people on our mailing list. Thanks to Kickstarter, we’ve grown a large audience who’ll support us. I may follow this up with a post-mortem… what worked, what didn’t, and perhaps even a mid-campaign progress report. In today’s session, Tyler talks to Cathryn Lavery of BestSelf.co, who recently launched a crowdfunding campaign that raised more than $300,000 on Kickstarter in the publishing category. How to achieve 6-figure crowdfunding success is talked about at length, including plenty of actionable strategies creators can apply to their own campaigns. Ideas that work in one area can be tweaked and adapted to work for us. My guest today is a graphic artist who focuses on the intersection of design and entrepreneurship. She’s the cofounder of BestSelf.co, a company on a mission to create meaningful products that help people become their best self. She shares her creative and entrepreneurial journey on her blog LittleMight.com. Her last Kickstarter Launch for the Self-Journal raised over $300,000, and did so many things right that I just had to get her on ComixLaunch as a guest. Cathryn Lavery, welcome to ComixLaunch! 1) You have a very compelling personal story of how, in a little over three years, you’ve been able to leave your job as an overworked architect and launch your own business creating products you’re incredibly passionate about… and Kickstarter has played a major role in that process. Can you tell us more about your story? 2) I know you’re a firm believer of validating an idea before investing too much time, money and resources into it. (Kickstarter and other crowdfunding platforms are essentially idea validation platforms.) And I completely agree with you. At the same time, I often tell the people listening to this podcast that simply having an idea isn’t enough to take it to Kickstarter… and that they need to put some “skin in the game” in order to get backers on board. So, where do you draw the line between how much time, money, energy to invest in a project before validating it on a platform like Kicstarter? Are there other validation steps before launching that you recommend? 3) Now, the Self-Journal project was a massive success, and raised over $15K in the first 28 hours? How did that campaign get off to such a rock-solid start? 4) One of the most brilliant things you did, and something not a lot of creators are savvy enough to do, is that you had a sweet Joint Venture deal, partnering with Blinkist, to add tremendous value to your campaign. I was a campaign watcher who became a backer… that was an offer too good to pass up. Can you tell me a little bit about how that came about? What advice might you have for KS creators looking to create a similar win/win scenario for their projects? 5) Finally, I wonder if you could talk a little bit about your approach to the packaging and designing of your product… I’ve heard you on other shows talking about wanting to provide “the Apple Experience” to your backers, and the unboxing of the Self-Journal was in fact a great experience. Yet this is something so few project creators give much thought to. An awesome tool to turn an idea into a real thing. 5) Can you recommend one book (other than the Self-Journal) more people need to check out? One of you guys or gals is going to add an awesome resource -The Crowdfunders Strategy Guide by Jamey Stegmier to your library. Any final piece of advice?